Back in the day, a rat pack of skier kids ruled the slopes at New Hampshire's Tenney Mountain. They bombed the mountain, jumped off the Hornet double chairlift to get a head start on the impromptu Chinese Downhill on the Edelweiss trail ("Loser buys the French fries! "), and hit big airs under the Eclipse triple. It was a scene repeated at ski areas around the country, when parents used to drop kids off at the mountain in the morning and pick them up, dripping with melted snow and happiness, after the lifts closed. In Plymouth, New Hampshire, generations of kids learned to ski at Tenney, from the 1960s when the lifts first started spinning until 2010 when they shut down, seemingly for good. "I can still remember the knoll under the Eclipse Chair," says Abby Guinan, who was part of a skier kid pack at Tenney in the '80s. "If you hit it just right, it launched you flying. All you could see were the heads turning on the chairs above, and you'd lean back and hope for the best." Michael Bouchard has never experienced the thrilling fear of catching big air under the lift. In fact, he's never skied at all. But he's taken on the enormous task of bringing Tenney Mountain back to life. 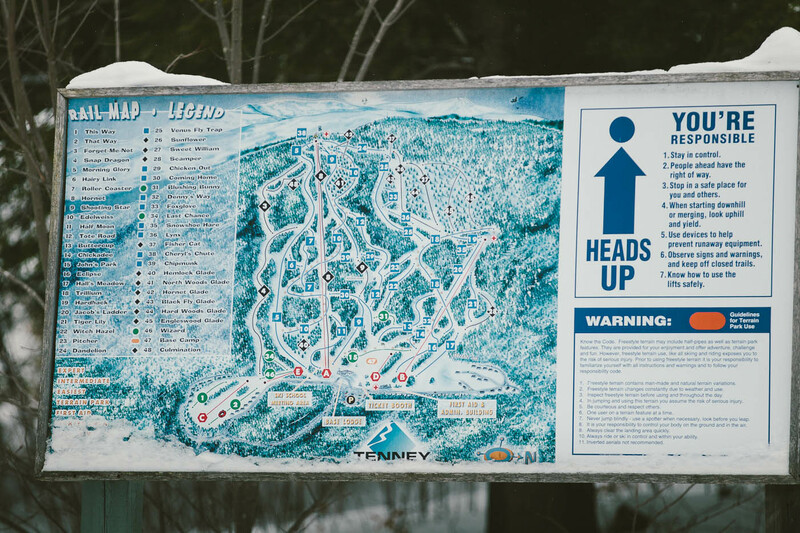 Read more about Tenney Mountain and other small ski areas along New Hampshire’s Interstate 93 in the feature written by Meghan McCarthy McPhaul in the November issue, on newsstands now. "We've been studying this mountain since it closed five years ago," says Bouchard of his partners in the Tenney Mountain Development Group—MAST Holdings LLC of Boston, Massachusetts, and a few friends—who purchased Tenney last November for $1.25 million. An integration scientist, Bouchard's interest in Tenney was initially focused on developing ways to harness the area's considerable water resources. Bringing skiing back to Tenney was not part of the plan. But as Bouchard explains it, "We started to fall in love with the people of this community, and we thought it might be a chance worth taking." There is certainly no shortage of local enthusiasm for Bouchard's seemingly Herculean efforts to resurrect Tenney Mountain. With no website or formal marketing department, Bouchard shares the daily triumphs and challenges on a Facebook page that has garnered nearly 5,000 followers in the course of a few months. Opened in 1960, the ski area has been shuttered since 2010, following several years of sporadic closings and re-openings, and minimal upgrades to snowmaking and other equipment. 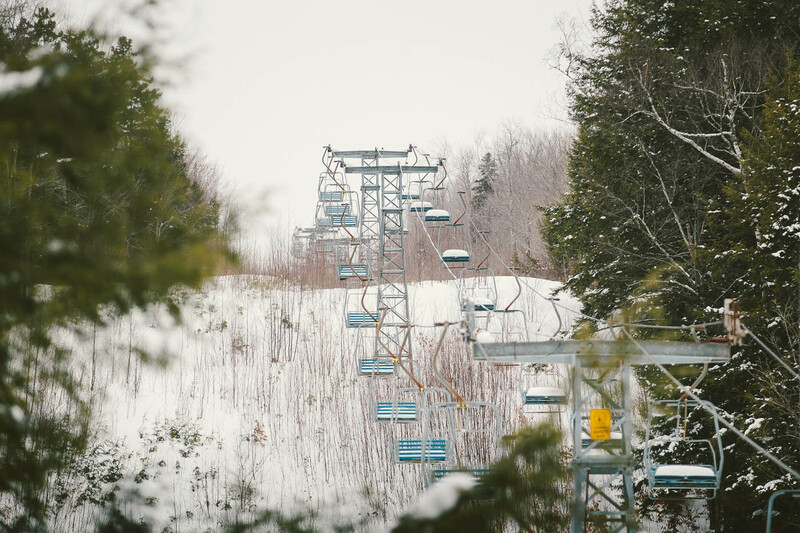 The newest lift is the Eclipse triple, installed in 1987 and notoriously slow. Brush has grown up on every trail on the mountain. Huge wind turbines now line the ridge atop the ski area. Still, there is a strong contingent of Tenney diehards eagerly following Bouchard's every move—from clearing trails and getting lifts certified to painting lift shacks and renovating the lodge—and fervently anticipating the return of lift-serviced skiing to the home hill. "Everyone in town is behind the place," says Dave Lorrey, who came to love Tenney as a student at nearby Plymouth State University in the 1980s and worked at the ski hill for several years. "The future plans will have a significant positive impact on the town—jobs, residual business, and a place for the ski team to train." Plymouth Regional High School's ski team is already on board to train at Tenney this season, and Bouchard and his team have a long-range plan that stretches far beyond the ski area's re-opening, 15 to 20 years beyond, actually. With 870 acres (and efforts underway to buy more), Tenney is more than a ski area. There are already 253 condo units, many occupied year-round and several slope side. Bouchard says there's room to build 1,500 more condos and to develop recreationally, residentially, and commercially beyond the ski area, maybe purchase the wind turbines on Tenney's ridgeline and use those to power some of the new development. But that's all in the future. For now, he's focused on getting the ski area—1,400 vertical, two old chairlifts and a platter pull, and 60 trails—at least partially open by mid-December. One daunting task is rerouting how water moves down the mountain so that rain and snowmelt flow into the snowmaking pond. Bouchard plans with an engineering mind, and he plans big. Beyond reopening Tenney as the local ski hill, he sees his team working with snowmaking companies, lighting experts, and energy outfits to develop state-of-the-art systems. "We've been systematically re-engineering everything here. We think outside the box," says Bouchard. "We want to be known as innovators, as the UL (United Laboratories) of the ski industry." However, they go about resurrection, Tenney Mountain skiing is fine with the locals who just want their home hill back. It doesn't much matter if the snowmaking is innovative, as long as there's snow, as long as the trails are cleared and the lifts are spinning. "Small, local ski areas are the birthplace of skiing," says Lorrey. "The average Joe in Plymouth is not going to shell out to ski at a big area. If I can buy my kids season passes at Tenney for a couple hundred bucks and they are only five minutes away, their friends are there, I can drop them off and know they're at a safe place, now you have something." Bouchard hasn't figured out lift ticket pricing yet and plans to forego season passes until he knows he has a good product to offer. But with six weeks to go until opening day, the buzz surrounding Tenney is huge, as many of the kids who cut their skiing teeth at Tenney plan their return. Will Bouchard learn how to ski now that he is the agent of Tenney's revival? He figures he'll have to. Then, he can buy one of the snazzy new bumper stickers claiming, "I learned to ski at Tenney." Marquee image: Randy Elles asks if anyone is home at the Tenney Mountain ticket office last winter. PHOTO: Justin Cash.